Yup, that’s a lot of dead ducks and geese. They were not killed for sport but to put food on ours and other hunters tables. I had never eaten duck or goose until I met Darryl (minus that one time in chef training school). Actually, I hadnt eaten a lot of things until I met Darryl. Our table has seen duck, goose, deer, moose, salmon, perch, pickerel, walleye, quail…and then there are the wild morel mushrooms, leeks, onions, fiddleheads and countless veggies from our garden. I believe our kids have a very healthy respect for nature and animals because of what Darryl has brought home. The kids are not oblivious to where meat comes from. They fully understand that an animal gave its life to be on our table. I personally also have some major respect going on for Darryl. While I know he enjoys the hunting and fishing, I am also aware that it’s a lot of work and patience to bring the food home. 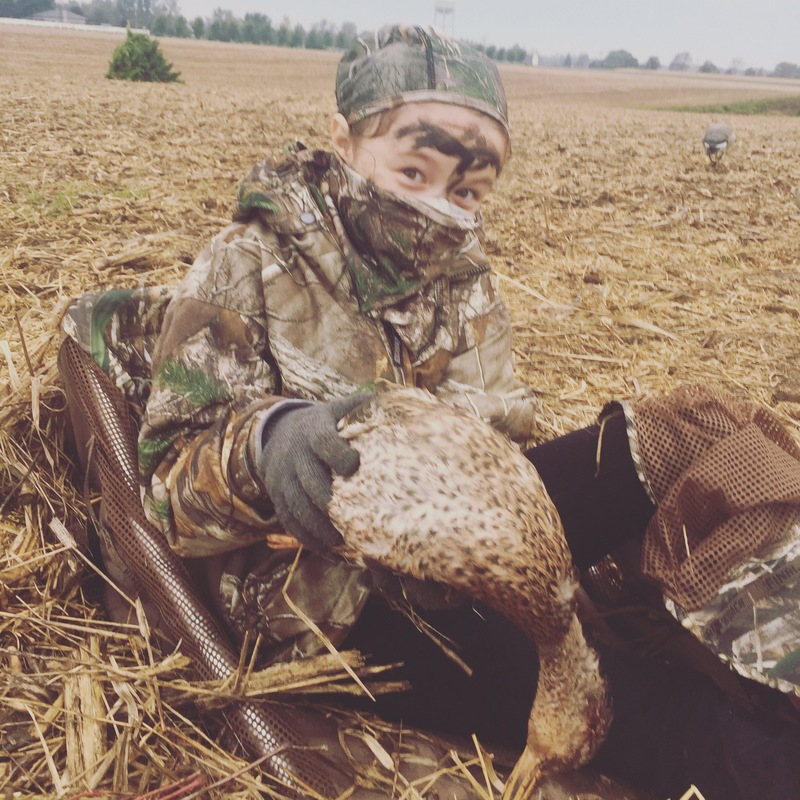 My daughter experienced her first hunt today. She was up at 4:45 to get out to the field. I have been told she did amazing. She followed instructions, helped out, and stayed quiet (that’s a tough one!). It was a successful hunt and she got quality time with Darryl. She mourned the death of one pretty duck and while that tugs on my heart a little, I know she will be fine and again, she will respect the meal that much more because of it. Mourning and appreciation of food is quite a a self-cancelating dichotomy.